Photo by Sunyu on Unsplash. I didn’t take the photo above. I’m including it in the post because … well, you’ll see. I went out tonight and hedged on whether to take my camera with me. But then I reasoned it was almost dark, and even if I saw anything, the light would be too low to take a really good photo. So I left it at home. Of course, that means I’ll have an incredible animal sighting. It’s pretty much guaranteed with no camera in tow. So I’m waiting at the bus stop at dusk, and what do I see darting around the juniper bush? My first glance was almost as blurry as the above photo, so for a split second I might have thought it a cat. 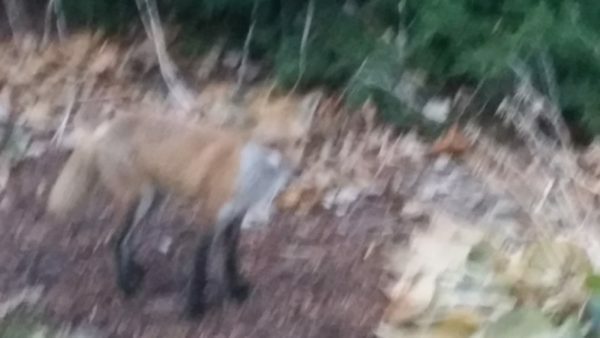 But as much as foxes are reputed to be the cats of the canine world (for their more solitary social structure and their quiet ways), there’s really no confusing them. 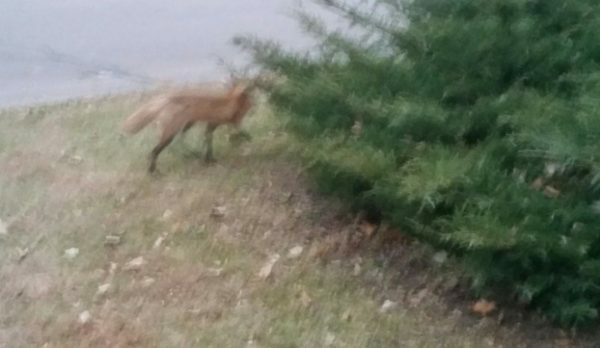 The last time I saw a fox in these parts was last year, the morning after the presidential election. It darted across my backyard, stopping for a moment to sniff at some locust pods on the ground and then to pee on them before trotting off toward the playground. It was the highlight of my week. Not wanting to wait a whole ‘nother year to get a fox photo, I whipped out my camera and walked toward the little beast. It was slightly skittish, but not as skittish as most of the roaming house cats I encounter outdoors. It looked at me straight on a few times, but otherwise went about trying to find a way to get under the juniper bushes—possibly to hide from me and the passing cars, but possibly in search of rabbits or rodents, who love to live under those low-growing junipers. … in which I alternatively held my breath and warned it, “Hey, be careful!” in that sing-songy voice you use with dogs and young children, even though it was neither. Thankfully, and not because of my advice, it did opt for being careful and decided not to cross the street after all. It returned to the juniper bush. And that there is the best picture I got of it, because the bus came and phone cameras really aren’t made for taking flashless photography at dusk. 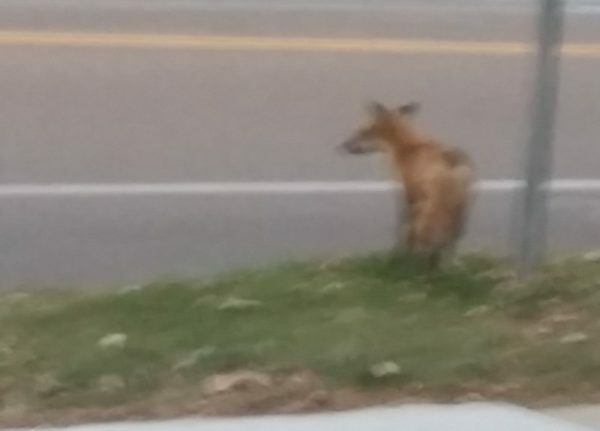 “There’s a fox at the bus stop,” I said to the bus driver, because this is the kind of news you have to share with people. He asked me to repeat myself. 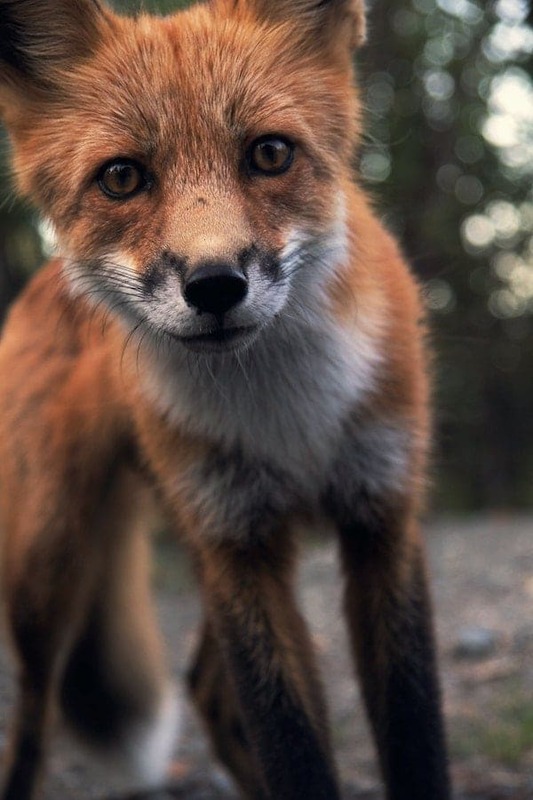 Because who can resist a fox? 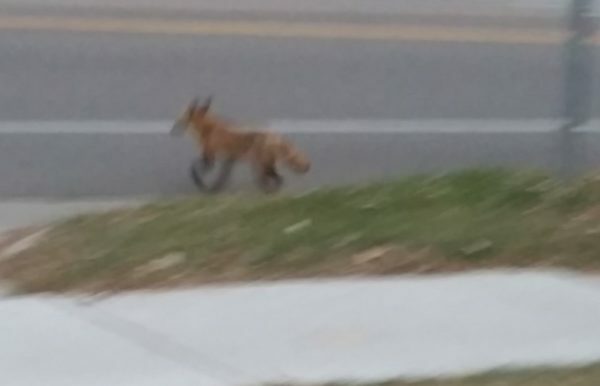 The fox I saw today had a shorter tail, but its overall shape and color (including the black socks!) were similar to this fox’s. Photo by skeeze on Pixabay. The red fox (Vulpes vulpes) lives throughout the Northern Hemisphere and has something like 45 subspecies. In the Upper Midwest, we have the American red fox (Vulpes vulpes fulvis) and the Northern Plains red fox (Vulpes vulpes regalis). In the same species is the silver fox, which are melanistic Vulpes vulpes individuals. Melanistic simply means that the individual’s genes result in them having overall dark or black pigmentation. Silver foxes can occur in any red fox subspecies, but are more common in North America than in Europe. For a long time, people thought red foxes in the eastern U.S. were descendants of European foxes brought over during colonization. 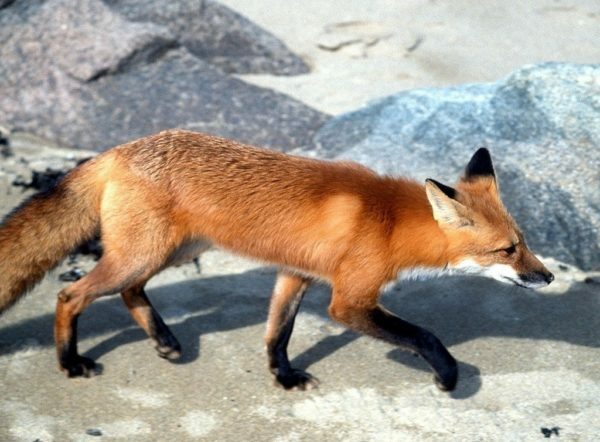 Because of this, red foxes have often been treated as an invasive species. Europeans did, indeed, bring over some of their own red foxes during the colonial period. But North America already had a fox population, and the European ones didn’t overtake the fox gene pool. Genetic studies show the ancestors of North America’s red foxes separated from their European cousins around 400,000 years ago, then migrated to the Americas during glacial periods 191,000 to 50,000 years ago. 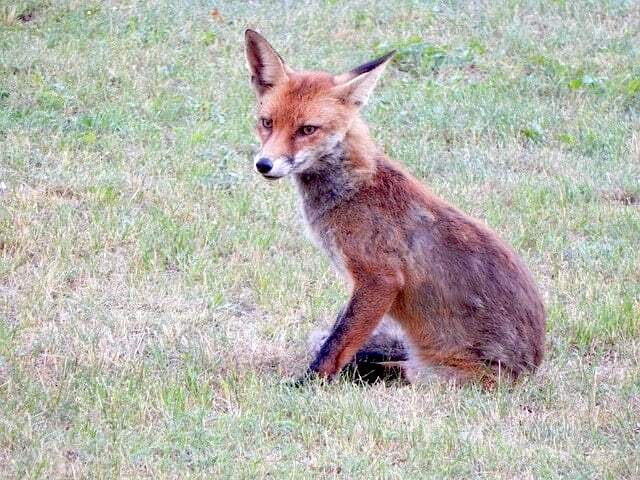 Red foxes adapt well to the presence of humans, as evidenced by that kid I saw at the bus stop today. This has helped them become more widespread than the gray fox (Urocyon cinereoargenteus), another North American native. Another fox similar in shape to the one I saw today. Mine had smaller ears and less white around the nose. Photo by Alexis Hunter on Pixabay. Like wildlife? Check out more of my animal posts.